TGCNE16 Update: Special Music by Keith Getty! 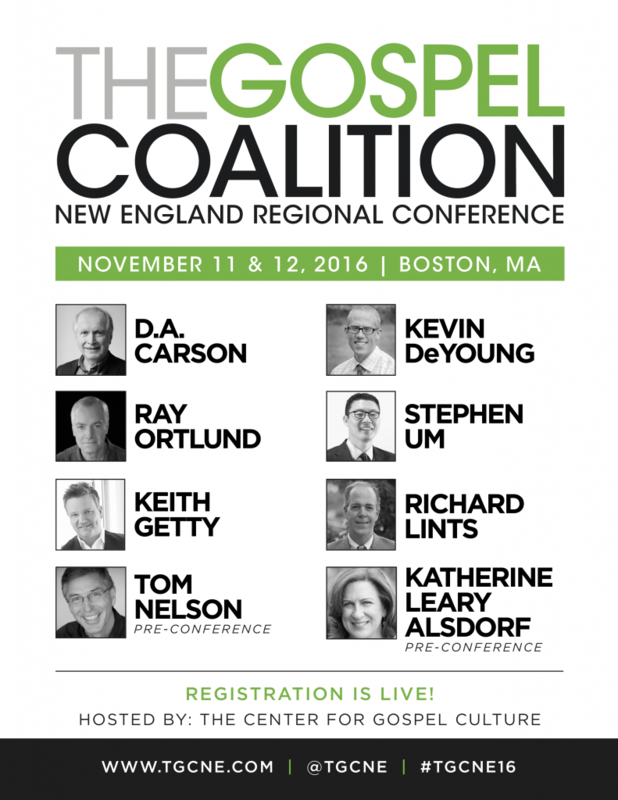 The Gospel Coalition New England is excited to announce some big updates with our upcoming conference. The website is now up-to-date with all plenary talk titles, main breakout panels, and introducing special music by Keith Getty! Our plenary speakers will include D.A. Carson, Kevin DeYoung, Ray Ortlund, and Richard Lints. We will host Tom Nelson and Katherine Leary Alsdorf from Made to Flourish in our pre-conference, Serve the Work, dedicated to the integration of faith and work. Numerous other workshops will be available all throughout the weekend! For more information and registration, visit the TGCNE website HERE. For questions on group registration (15+ people), please contact tgcnewengland@gmail.com. For exhibiting and advertising opportunities, please contact Ben Bae (ben@citylifeboston.org). For volunteering opportunities at the conference, please contact Eric Chin (eric@erictchin.com). Discounts available for all volunteers!